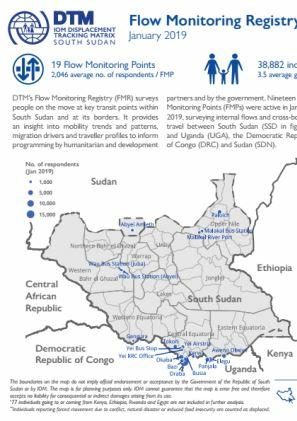 DTM’s Flow Monitoring Registry (FMR) surveys people on the move at key transit points within South Sudan and at its borders. 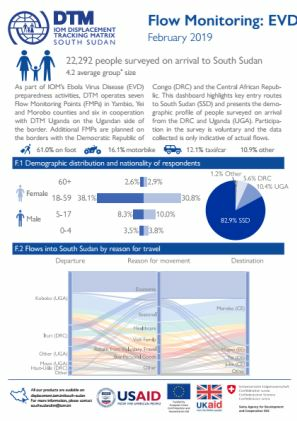 It provides an insight into mobility trends and patterns, migration drivers and traveller profiles to inform programming by humanitarian and development partners and by the government. 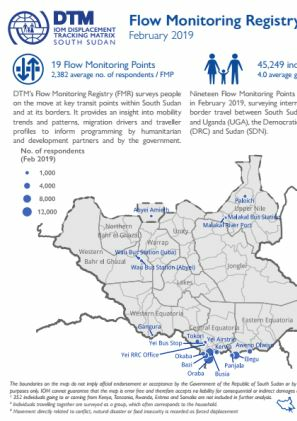 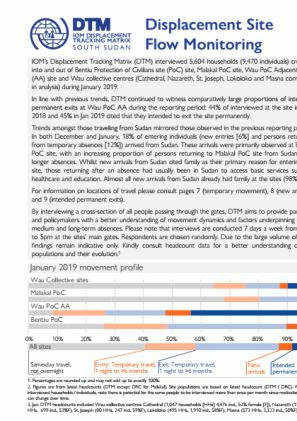 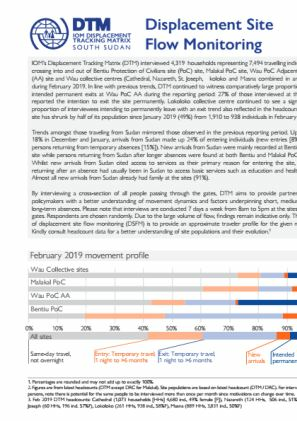 Nineteen Flow Monitoring Points (FMPs) were active in February 2019, surveying internal flows and cross border travel between South Sudan (SSD in graphs) and Uganda (UGA), the Democratic Republic of Congo (DRC) and Sudan (SDN).